as time has already become short, we really need to have a logo we can use on our homepage and in marketing material spread by our project. > on our homepage and in marketing material spread by our project. > as time has already become short, we really need to have a logo we can use on our homepage and in marketing material spread by our project. do we really need that 'TM' part ? >> on our homepage and in marketing material spread by our project. on our homepage and in marketing material spread by our project. +1 and many thanks from me too! > do we really need that 'TM' part ? >>> use on our homepage and in marketing material spread by our project. >>> So please comment with "+1" during the next three days (until Sept.
What I know about the previous logo, the "TM" sign should appear at least once on a page / in any material containing the logo. There is no logo without "TM" and I think that Sun/Oracle did this on purpose. For more details you'll probably have to ask Stefan Taxhet or other relevant people at Oracle. What's your problem with the "TM" ? icon of the OOo app. > > do we really need that 'TM' part ? > once on a page / in any material containing the logo. > relevant people at Oracle. > What's your problem with the "TM" ? reproduction, I don't know whether we need TM again. Debian, etc (without TM) but its my personal choice. > icon of the OOo app. Would you mind subscribing to art@marketing too? My first versions only had black and OOo-blue (see: http://wiki.services.openoffice.org/w/images/archive/8/82/20100924135851%21OOo10.png), but this caused too much emphasis on the 10 instead of the OOo logo. 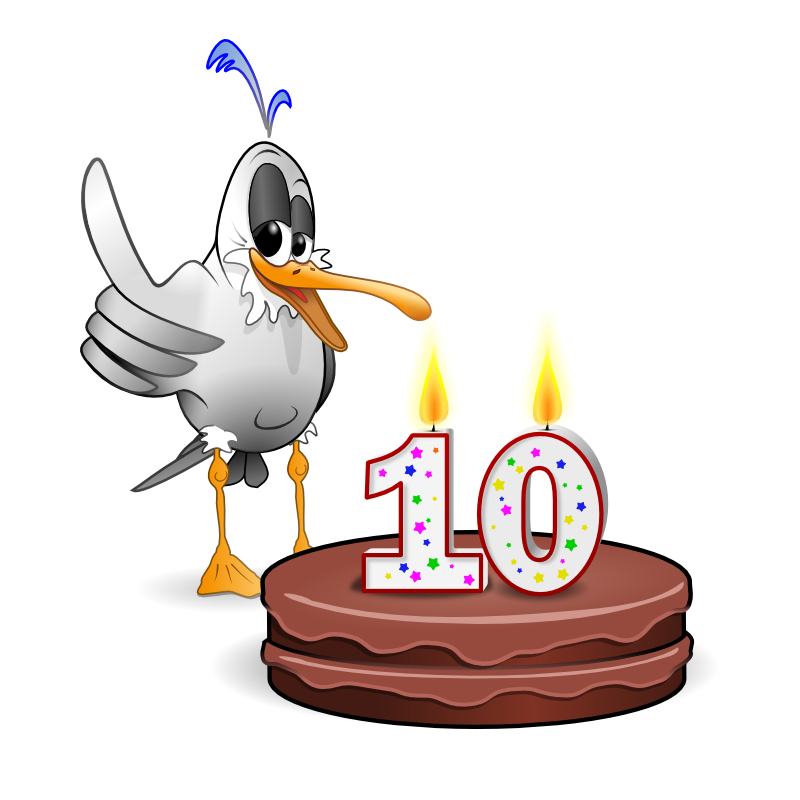 I didn't try the application icon (in our branding called gull orb symbol) instead of the zero, but I think this would lead to poorer recognition of the number 10 (one world?, one marble?). modify the logo, so we can't remove the TM symbol. use any official OOo logo without symbol. discord with the trademark holder on this IMHO negligible point. I still don't understand why this point is so important to you. any translations by now - just wanted to have a logo at all. > I still don't understand why this point is so important to you. What is the name of font? > What is the name of font? If you provide me the text, I'll do it for you. I have got the vector sources, so it's quite easy. >> What is the name of font? > If you provide me the text, I'll do it for you. > I have got the vector sources, so it's quite easy.